Kelly Mathew lives a life in rallying Co-driver, organizer, producer, Mathew was born into the sport. Words by Dean Campbell, Photos provided by Kelly Mathew. You could say that Kelly Mathew was predestined to be a rallyist. 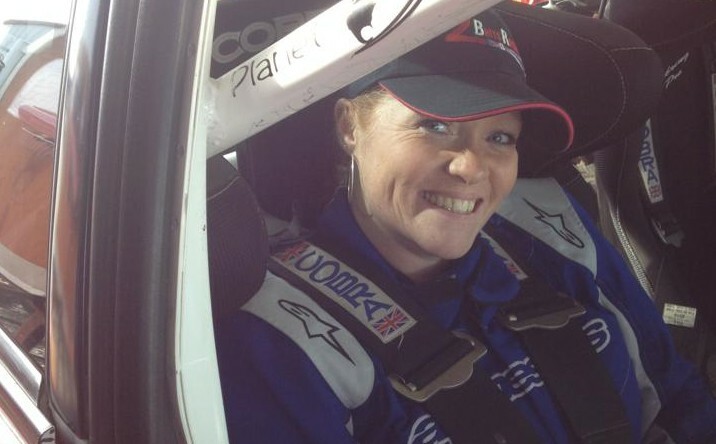 For years before she was born, Kelly’s parents Nigel and Lou competed separately in rally events in Great Britain, always taking part in a rally on the Isle of Mull. Nigel was a driver, while Lou co-drove in a different car. When the Mathew family grew to include kids – first Kelly, then Nick – they continued the annual pilgrimage to Mull. It was on the Scottish Island that Kelly’s first rally memories were made. As the kids grew, they kept going to rallies. The list of events that Kelly rolls through in the interview culminated in what for many around the world is hallowed ground, the Network Q RAC Rally. As life moved along, the Mathew family relocated to Canada, and by 2007 Nigel had his hands on a 2007 Subaru STI, complete with a cage. Initially, the family started competing in the Maple Leaf Rally Club Rallycross series, then held at the Dungannon Recreation Centre – the long-time headquarters for the Lincoln Electric Rally of the Tall Pines. 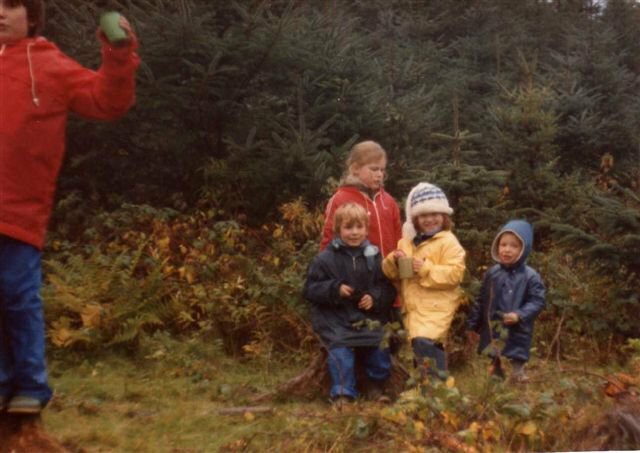 The family quickly made a plan, and soon Nigel and Kelly hopped into the car and crossed the start line of their first Canadian championship event. That summer, the pair raced their first national, Rallye Baie des Chaleurs, before rounding out the 12 months from their debut with a strong performance at the Rally of the Tall Pines. The team was so fast they finished second regionally and a fourth place overall. Buoyed by this result, the family decided to have a run at the 2009 Canadian Rally Championship. 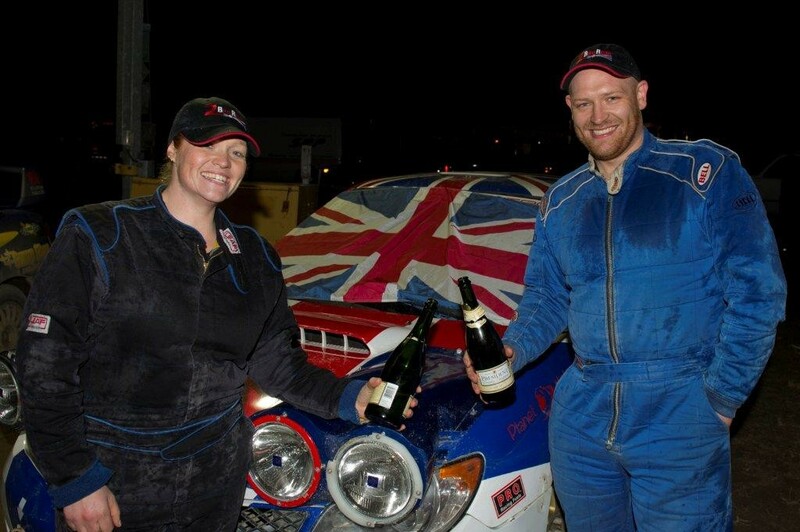 At the Rocky Mountain Rally, Nick and Kelly, with Nigel and Lou back in service, finished third, their first time landing on a national podium. A year later fortunes took a turn. After DNFing the national portion of the Rallye Baie des Chaleurs, the team restarted at the front of the regional field, running behind the slowest cars in the national field. At the end of a long stage, the Mathews had closed the gap almost entirely, and over the famous Baie jump, the team were forced to throw their car into a ditch to avoid a car stopped in the landing zone. Thankfully no one suffered serious injuries, but the team took the rest of the year to rebuild. Meanwhile rules and best practices were changed that improved safety at future events. “That year, Nick and I hosted the VIP program at Tall Pines,” said Kelly. There’s no doubt the pair would have liked to be on the stages instead of speaking about them, but it was their first taste of a different sort of involvement in rallying. 2011 saw the team win the Ontario Performance Rally Championship which closes out the season in Bancroft each year. Over the next few years, rallying took a back seat as careers grew for Nick and Kelly, and as Nigel and Lou contemplated retirement. In 2014, Kelly returned to co-drive with Andrew Kulikowski in 2WD for the OPRC title, Kelly claiming the co-driver’s title by season’s end. Meanwhile, Nick and Kelly teamed up to run the Ontario regional, Shannonville Performance Rally, and the Empire State Performance Rally in New York. Both were tarmac rallies and served as practice for a return to Mull later that year. 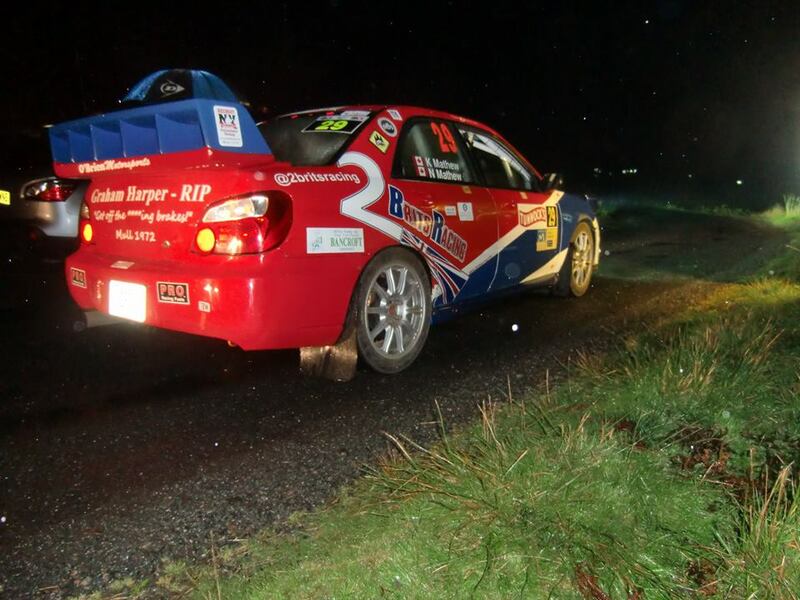 “Rallying in Mull was a fantastic experience, and scared the heck out of me,” recalls Kelly. 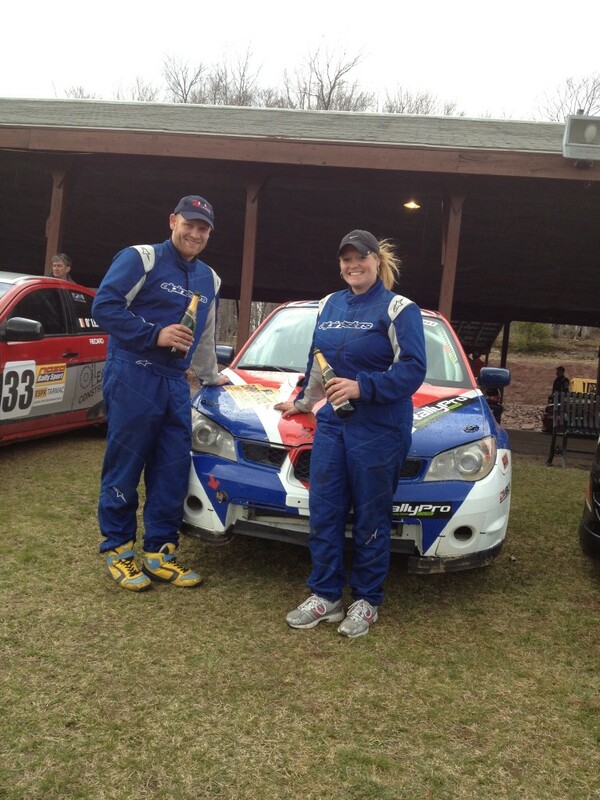 The event was full of challenges for Nick and Kelly who kept experiencing gremlins all through the rally. Over the last few years, Kelly has put her focus on helping others rally, serving on the organizing committee for the Lanark Highlands Forest Rally, an Ontario regional event held just outside Ottawa. She also helps to prepare organizer notes at events, including this year’s Lincoln Electric Rally of the Tall Pines. Kelly has been a part of the Rallysport Ontario Board of Directors for the last five years, and hops into cars to co-drive when time permits. This year, Kelly will reprise a role she’s had for the last two years at Pines. She’s volunteering her time as a producer for the OPRC’s Rally Radio program feeding host James Drake all kinds of helpful information to aid in keeping audiences at home well informed. Between live broadcasts, you’ll be able to follow the action thanks to EZTrak vehicle tracking and social media coverage provided by the Canadian Rally Championship and the Ontario Performance Rally Championship. A full live schedule will be posted Friday, November 23.